Those that know me well understand when I say I consider myself a ‘precision guy’. My preference is to plan, analyze…systematically…and then plan some more. If you’ve followed my blog up to here, you see that there was a commitment to consistency; to post my activities daily. That’s also why many of you reached out to me when there was no final chapter upon returning home. Where is the closure JT? Is it the bum ankle that waylaid you? The short answer is ‘no’; but in an ironic twist it probably has played a part in my being able to write this post. As I wrote on my May 11 post, my blown-out tendon had forced me into bailing on the final 2 legs of my walk into Finisterre. As it turned out, those 2 days were without question the poorest weather days of the entire journey. Rain pouring down, wind blowing it at 45 degree angles, temperatures dipping to the mid 50’s but feeling much, much colder. In other words weather that you get sick in. Problem was, I was already sick…but much worse than I or anyone knew at that point. I had left Florida on April 21 with the all too familiar signs of a sinus infection. I told my wife I should probably go to the doctor and get some antibiotics, and she looked at me as to why it was even a point of discussion. Problem was we had our inaugural Men’s Night at our church the night before I left and our Discipleship group happened to be hosting. Between that and being a bit stressed on other packing issues, I neglected to do the one thing I should have prioritized…take care of myself. It turned out to be a bad mistake as that sinus infection moved down to my chest, morphing into an acute upper respiratory infection, bronchitis and pneumonia. I knew I was sick when I arrived, but convinced myself that through the daily walking and a regular diet of the expectorant Mucinex that I could manage things until I returned. Boy was I wrong. Nearly dead wrong. By the time the driver dropped me at my hotel in Porto on May 12 I was so weak that I couldn’t carry my suitcase up the stairs. Later that night was probably the most frightened I’ve ever been in my life. I awoke mid night to a violent coughing spell, trying in vain to expel a buildup of mucus that had filled my lungs and throat. When it got caught mid throat and my lungs started to spasm, my head told me I would suffocate right there and die alone in this hotel room. As I wheezed desperately to take in air I prayed for God’s help. I made it through that episode and a couple more later that morning and on the plane home, where a justifiably concerned Catherine looked at me and began the search for an urgent care clinic. I medicated with OTC products until we made it eventually to the ER in Melbourne, where they immediately admitted me and put me on a drip IV of heavy duty antibiotics and steroids. There I stayed for 3 days under close observation, until released to come home to continue my convalescence. It’s 2 weeks since I returned and I remain very sick and weak. I hope to see a pulmonologist this week to get a more specialized diagnosis of my coughing and lung congestion. Morals of the story? Many. Recognition of who you are and your condition pre-trip for starters. Recognition that 10 hour international flights, in compressed air with other sick people, followed by a 6 hour time zone change and different climatic conditions than where you’re from negatively impact your health. Recognition that the wear & tear from walking 15-18 miles/day and eating different foods, sleeping in different beds every night take their toll. In combination, these factors proved too much for me to recover from an existing illness, and I nearly paid the ultimate price. In retrospect, I’m thankful for the hard lesson learned, and certainly for God’s intervention in getting me home safely. I felt badly about my ankle tendon interrupting my well planned walking schedule, and worse yet about how it transformed the message of my Camino. The ironic blessing of the hurt ankle tendon was that it kept me from walking in weather that likely would have had me in a hospital in Spain instead of home, so God does work in mysterious ways. Absent that ending, it was a beautiful trip filled with many lifelong memories. I had great fortune on the weather until the end, met people I’ll never forget, saw sites that will be indelibly blazoned in my mind, and had some wonderful time…and talks…with God. For those I’ll be forever grateful. Walking a Camino is a great privilege. The common icebreaker questions upon meeting other pilgrims are ‘where are you from’ and ‘why are you walking the Camino’? Many honestly don’t know what the pull was. Many claim not to be ‘religious’, yet they can’t identify the mystic pull of St. James to his resting place at the Cathedral in Santiago. The melding of nationalities for a common cause…completing the task…overcomes most of our differences. Indeed it’s those differences working to a common goal that makes these pilgrimages so very special. 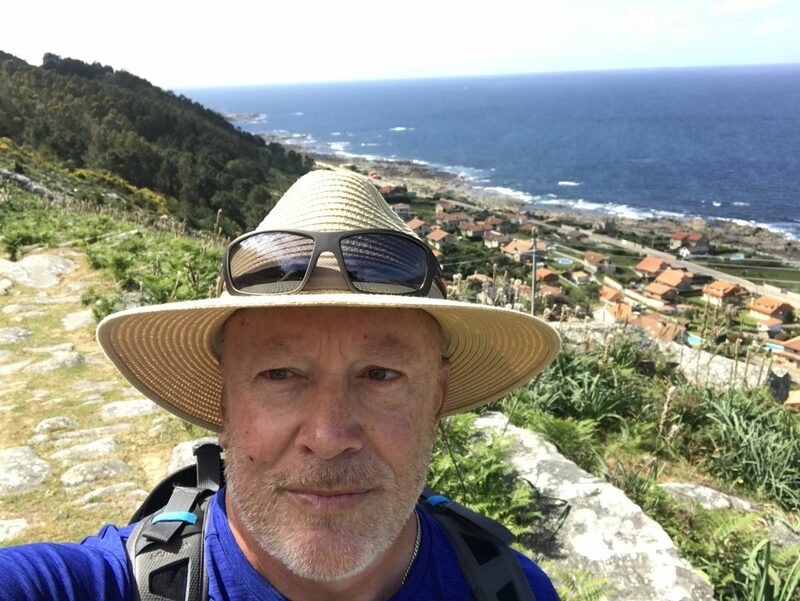 Returning from my 2nd Camino, striping away the focus on my illness, evoked many of the same emotional and spiritual feelings as the first. While happy to be reunited with my bride, I had an overall sense of preferring isolation. My heightened sensitivity to life as I left it, with all the corresponding noise, busyness and expectations was, frankly, depressing to return to. Instead of my eye seeing the beauty of new surroundings, I saw yard work to be performed, emails to answer, bills to be paid, aging parents to be tended to. Life as I knew it, and left temporarily behind, was eager to get back in my face and invade my peace. That’s why, in light of all the pain, stress and strife involved in walking a Camino, I would gladly pick up my backpack and walk another. They are simply that special on so many fronts. I always encourage my family and friends to walk a Camino if that door cracks ajar in their lives. I know firsthand what awaits them and how life changing they can be. The fraternity of pilgrims that have completed their walks may find it hard to express their feelings to others upon returning, but the kindred spirit we share is undeniable. I can only hope that you come to understand what I mean when I say that. I do want to thank you for following my blog and encouraging me along the way. Your support and prayers were very uplifting for me, and I hope in some small way I vicariously changed your life as well. That was certainly my hope. That was certainly my prayer. To those other pilgrims I met and befriended in Portugal and Spain, no matter how briefly our time together, know that your friendship will last a lifetime…and that I truly hope our paths cross again. Until that day arrives, Buen Camino / Bom Caminho peregrinos. May God bless you and your families abundantly.